On 21st January 1993, a group of members of the Army of the Republic of Srpska (VRS), legitimized the population at the marketplace in Trebinje. After they determined that one of the legitimized is Alen Glavovic, VRS started to harass and beat him. Srdjan jumped in order to help his fellow citizens, and four soldiers beat Srdjan with rifles. Some minutes later, Srdjan fell into a coma and died on 27th January 1993. Srdjan’s father wrote the following in the death certificate: “He died carrying out his human duty”. One of the attackers to Srdjan died during the war, while the others were sentenced to 28 months in prison. Today, Alen Glavovic lives in Sweden, he is married and has two children. 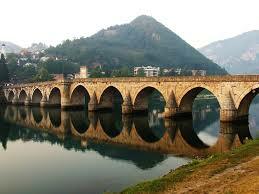 Each year, he visits Trebinje, Srdjan’s grave and his father. Posthumously, Srdjan Aleksic received the Charter of the Helsinki Committee for Human Rights in BiH. The passage in the Zmaj-Jovina Street in Novi Sad in Serbia, was named after Srdjan. In addition, there is a memorial plaque, the same in Pancevo as well. In 2007, Radio Television of Serbia recorded and broadcast the documentary “Srđo” about Srdjan Aleksic. Srdjan Aleksic was born in Trebinje. Father Rade was a basketball coach. His mother died early, and brother died in an accident. Srdjan was an amateur actor for which he received several awards. He continued to play and during the war, in “San ratne noći”.